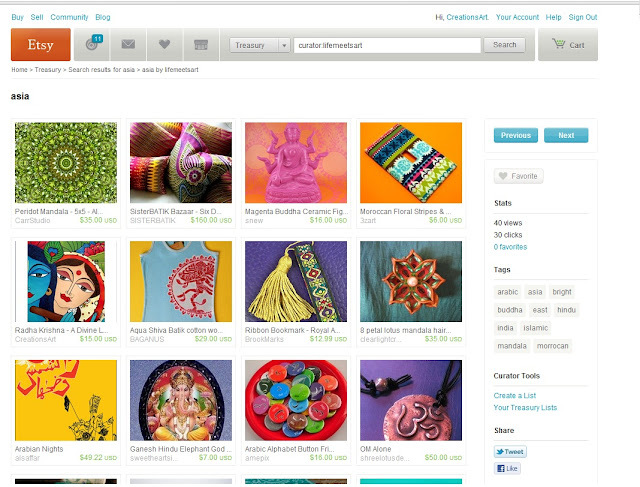 CreationS - The Essene of Arts: "CreationS" Featured on Etsy..!! First time got featured on ETSY Treasury "Asia"..
Congrats on the feature... You deserve it... and many more.. !! Congratulations! I am featuring you today on my blog.